The Maison Besserat de Bellefon was founded in Ay in 1843 by Edmond Besserat. 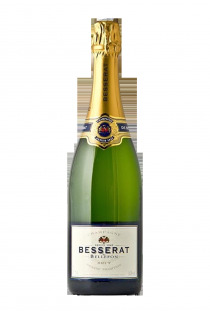 Originally from Hautvillers, he imposed his craftsmanship over the years by creating cuvées that he decided to distribute to hotels, restaurants and wine shops of great renown. 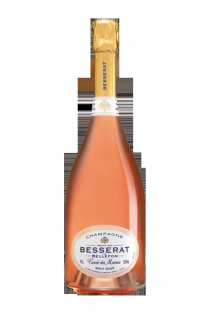 The year 1930 marks a historic break for Besserat de Bellefon who Will soon become a legend. The manager of a very large Parisian restaurant decides to challenge the couple Besserat de Bellefon: design a champagne that can accompany a whole meal. 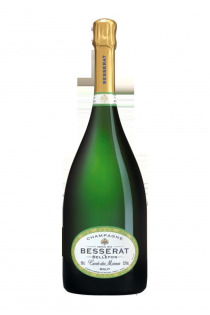 It is the birth of the "Cuvée des Moines" range in honor of the Benedictine monks who will be the first to master the fermentation and breeding of Champagne.Besserat de Bellefon meets the demands of the most specialized consumers and will continue to do Evolve its range. 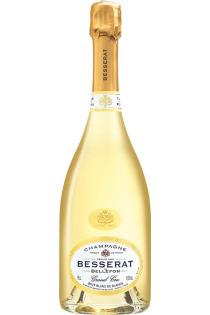 Big champagne for beautiful occasions!